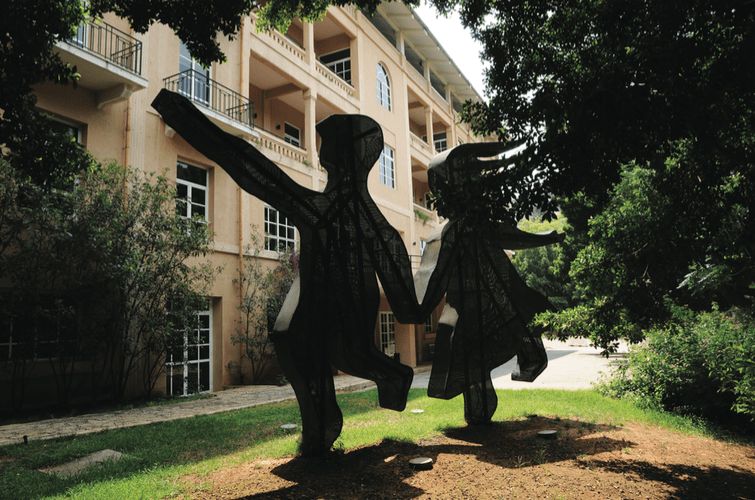 The campus of the Ecole Supérieure des Affaires (ESA) is a green oasis in the middle of cramped, gray Beirut, with period buildings in pastel colors surrounded by well-groomed landscaping. 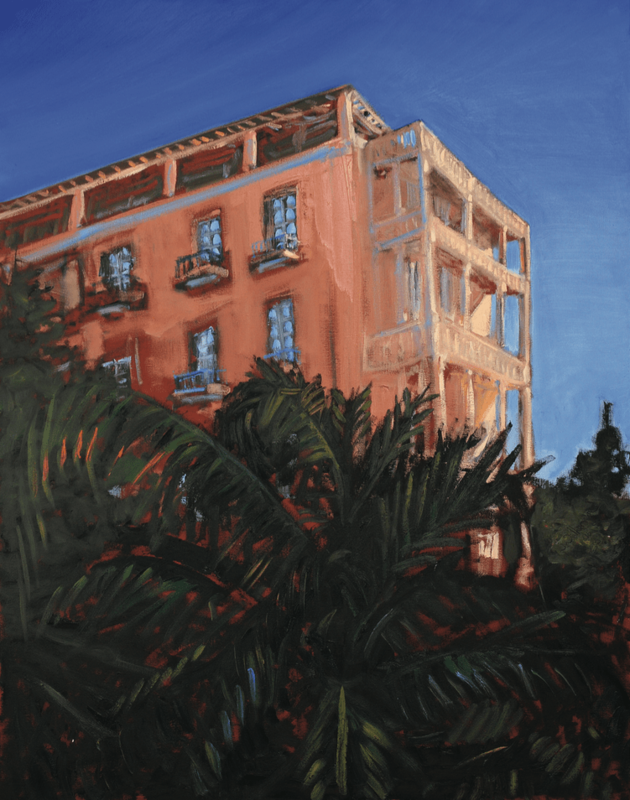 It’s adorned with art, such as contemporary landscapes by the French artist Jean-Marc Dallanegra, who resided at ESA while painting in Lebanon, as well as works by the celebrated local artists Ayman Baalbaki, Tagreed Darghouth, and others. A prominent Nadim Karam sculpture stands in the garden. The university’s posture as a business school with a clear penchant for art has come together in a unique program launched this spring: the Arts Management Certificate, created in association with Gurr Johns, a global art advisory and appraisal company based in the UK. The program is composed of five modules: the art market, marketing, finance, law and insurance, and art valuation. Throughout, students are taught a skillset that can help them turn art into business. The six-month course is one of several short programs at ESA, along with offerings like digital marketing, luxury management, and the Thomson Reuters financial program. As with other certificates, it can be taken as a supplement to one of ESA’s other degrees, such as its MBA and executive MBA, or on its own by students that haven’t previously attended the university. But there are a limited number of places, and Yamak and Matar say the selection process is tough. The university says it only accepts serious students who would genuinely appreciate and benefit from the program: either those already in the field or honestly looking to break into it. “This program is for executives, not for fresh grads. It’s a serious certificate—you have finance, valuation, law, insurance—all on an executive level for people to know more about investment,” explains Matar. The degree is meant to help graduates make more informed decisions about purchasing art, as well as insuring, transporting, displaying, and other technical details related to the otherwise subjective field. Students will also learn the skills necessary to understand and appraise art. The aim of the program is to show a different, much more technical, perspective on the art world, so that graduates can identify artworks that are likely to increase in value over time, manage museums, display different types of art, learn international laws regarding art import and export, and understand insurance policies, inheritance and museum exchanges, plus financial analysis of global market trends and other technical details. Because of the partnership with Gurr Johns, its executive chairman and other experts have been brought in to teach classes, and students receive degrees from both institutions. The program also includes a curated trip to London, where students tour museums, fairs, visit with collectors, and receive practical information about art from established industry professionals. Though the organizers expected people working in art galleries to be among the top applicants, the first batch of students includes CEOs, bankers, and architects who have a passion for art, or are already collectors. “The participants are really happy and are seeing how much they’re benefiting from this program,” says Matar. This first program ends in October; the next group will begin their studies in spring 2018.